Super Savings Item! Save 35% on the Flame Boss Pit Probe with Coated Cable by Flame Boss at Lawn and Garden Mart. MPN: 4332692425. Hurry! Limited time offer. Offer valid only while supplies last. Pit Probe for Flame Boss 100, 200, & 300 Smoker Controller with Coated Cable. Industrial duty platinum resistance thermometer probe includes 6 ft. Pit Probe for Flame Boss 100, 200, & 300 Smoker Controller with Coated Cable. 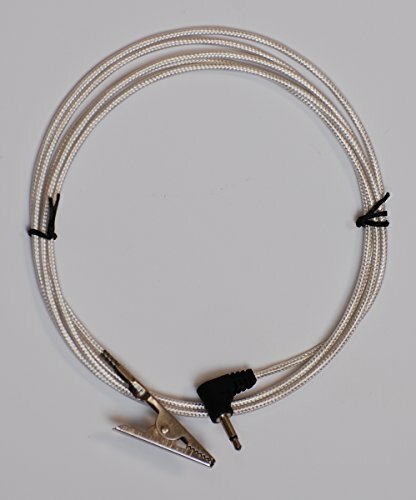 Industrial duty platinum resistance thermometer probe includes 6 ft. shielded and PTFE coated cable. The coated cables are preferred by many people because they are easy to wipe clean and don't get tangled so easily when stored. These probes are rated to 400˚F. If you have any questions about this product by Flame Boss, contact us by completing and submitting the form below. If you are looking for a specif part number, please include it with your message.